Diabolique No. 15 (March/April 2013) is now available on newsstands. 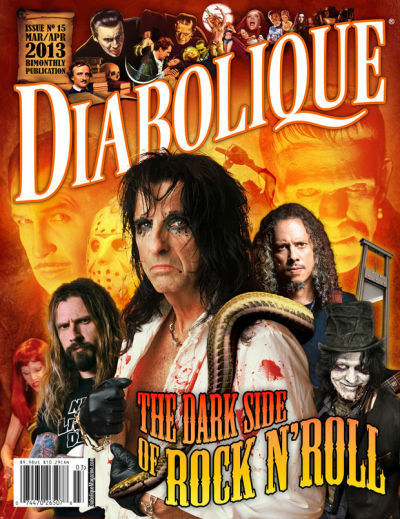 As the cover indicates, this edition is devoted to an exploration of "The Dark Side of Rock N' Roll." 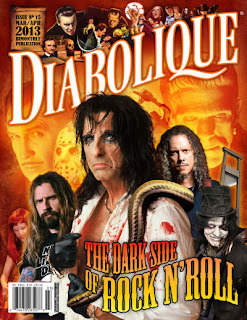 I have an essay in this issue titled "Devil's Music: Rock N' Roll, Heavy Metal, and the Dangers of Satanic Panics." The whole issue is great, and I couldn't be happier with the photos and layout that incorporates my essay which can be downloaded on my Academia.edu page. My thanks go to everyone at Diabolique for this opportunity.